Thanks to state-of-the-art bathroom technology, the floor-level shower is truly impressive in virtually any kind of environment. Not only when it comes to new constructions, but also for bathroom renovations; and this solution is even perfect for a lot of old building refurbishments. It is implemented using innovative, space-saving waste systems and extra-flat shower tubs, which merge seamlessly into the floor after being installed. In these bathrooms, you go straight from the wash basin or WC into the shower without encountering any obstacles. This makes even small rooms appear larger. There are no steps dividing up the bathroom, which offers ultimate convenience for all age groups. Your local bathroom professional or dealer will be able to tell you all your need to know about the installation options available. The seamless look can be implemented in ceramic or stone. The bathroom may be tiled all over, but there are also colour-coordinated, enamelled shower areas. In keeping with the trend of uncluttered bathroom architecture, an innovation has emerged which is literally “on the edge”: in the latest bathrooms, the drain disappears into the wall so that it no longer bothers the user at all when entering the shower – the water flows into a concealed gutter at the side, a discreet opening in the wall. This puristic design, which focuses on maximum clarity and transparency in the bathroom, is perfectly complemented by the Raindance Rainmaker, which is installed flush with the ceiling. 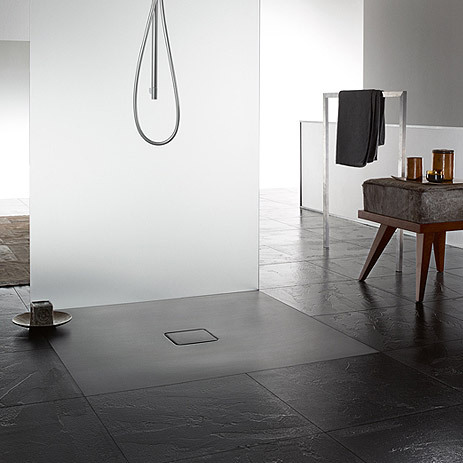 With its overhead and side showers, the AXOR Shower Collection also offers luxurious water indulgence in a clear design language. 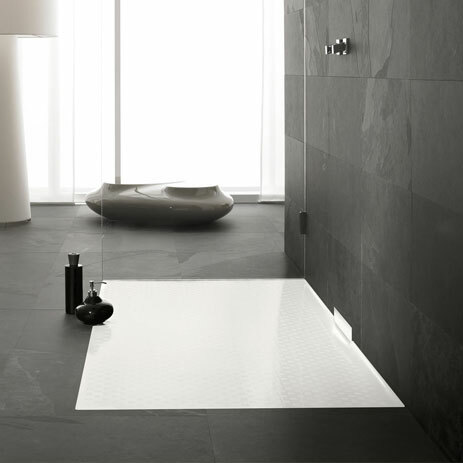 Floor-level showers are particularly creative “walk-in” solutions and appeal to the design-conscious. 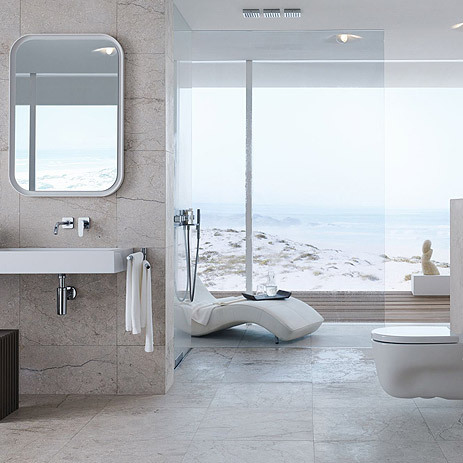 This variant does away with doors, completely integrating the shower area into the bathroom. And that's not all: the merging of the shower and the bathroom floor also makes this solution particularly low-maintenance. No wonder, then, that not only is this trend practical and safe, it is also extremely attractive. 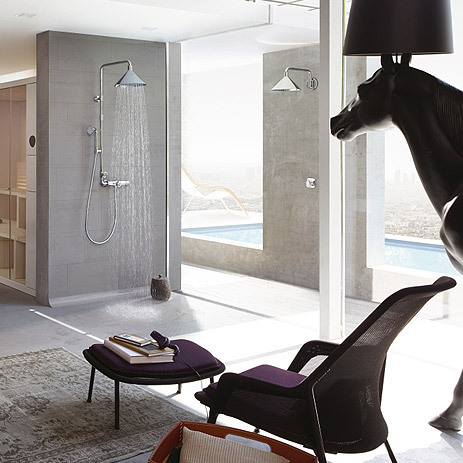 The AXOR designer brand presents more installation examples on the planning pages. You can also download bathroom planning brochures there.